Any idea why after updating to v134 (with "erase nvram after flashing") logs shows the following? ps: R7000, 192.168.1.13 is reserved ip-address. Build 1.35 multi-wan is out for all builds! just flashed tomato-RT-AC66U_RT-AC6x--135-AIO-64K and although not in the release notes, dnscrypt configuratiuon seems to be fixed. thx shibby! You could not tell what is the difference ? The problem with dhcp on vlan100 with v135 persist. Noticed in both 133 and 135 that if you setup the router for single WAN operation in "wireless client" mode, the option to bridge the unused WAN port to the primary LAN is no longer available under the basic network settings. This is minor, but it was quite useful to have that port be available on the LAN side. Mar 21 17:53:40 unknown user.crit init: Error while loading rules. See /etc/iptables.error file. Do you know what's causing the problem? I rebooted my router, cleaned the NVRAM and made the 30/30/30 but the error persists. Do not get ip- address from the ISP , I use the one WAN port and iptv and internet ( tagged traffic from VLAN). This is usually happens if the broken support 802.1Q , VLAN does not work properly in the version of the 135 at Tenda w1800r. turning to the 132 version. From the makefile VPN is "@$(MAKE) bin OPENVPN=y NTFS=y BBEXTRAS=y USBEXTRAS=y MULTIWAN=y EBTABLES=y MEDIASRV=y IPV6SUPP=y B=E BUILD_DESC="$(VPN)" USB="USB" DNSCRYPT=y PPTPD=y" and Mega VPN is "@$(MAKE) bin OPENVPN=y NTFS=y BBEXTRAS=y USBEXTRAS=y MULTIWAN=y EBTABLES=y MEDIASRV=y IPV6SUPP=y B=E BUILD_DESC="Mega-VPN" USB="USB" NOCAT=y BTCLIENT=y DNSCRYPT=y SNMP=y UPS=y PPTPD=y TR_EXTRAS=y TOR=y IPSEC=y RAID=y DNSSEC=y TINC=y NANO=y" . Difference would then be the inclusion of Nocat, BtClients, SNMP, UPS, TR_extras, Tor, IPsec, RAID, Dnssec, TINC, and Nano. Is DHCP usually unchecked for PPPoE by default? For whatever reason it wouldn't grab DNS when enabled. Thank you for the information , but unfortunately going back to v.132. No PPPoe connection , I suspect that disrupted with the vlan , and therefore do not get the ip- address from the ISP . "ipset create listwan hash:ip" but both consoles seems to hang after that. Iam using Tomato v1.28.0000 -134 K26ARM USB AIO-64K on a r7000, what can be the problem? same here! My AC66U QOS iptables error QOS ON and not net! My WAN connection ok! QOS OFF net connected ok. My WAN connection ok! Anyone with a RT-AC68U experienced poor WiFi-Strength with v133 and up? As of v133, my 5.2 GHz Connection is very poor, through one wall only 3..4 MB/s. With v132 i had 15..20 MB/s. Set region to Singapore, all advanced options to default ans set the channels hard to 36 lower & 6 lower. Reporting that an upgrade on the R6300v1 and RT-N16 works. Running into the same problem with QOS (the internet dies when QOS enabled) in v135 as others are describing earlier in the thread. Thanks for the hard work Shibby! 132 cannot access remotely on any port. Can't access my port forwards or my remote admin port. Yeah, worked it out. 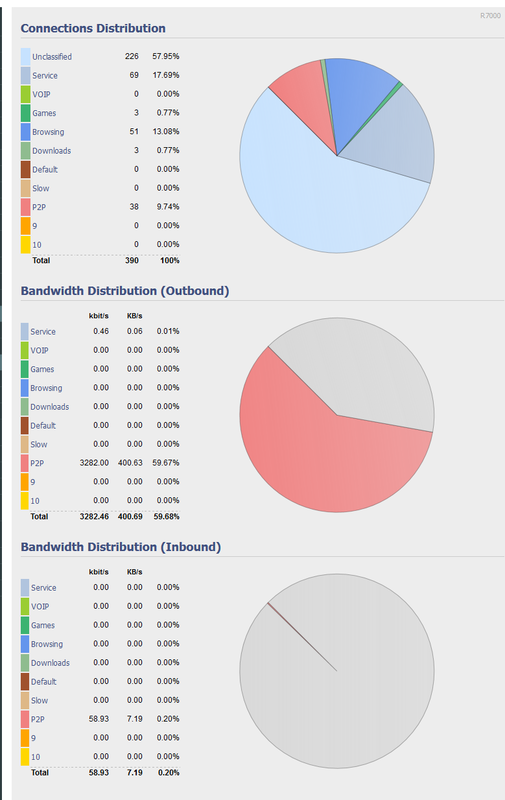 My VPN config was wonky and I had all traffic over VPN. DDNS doesn't work in v135 after wan gets up and I have to update by myself and iptables gives error in MIPS version but could work in ARM. I ran in MIPS v135,it says "No chain/target/match by that name"
Is there anyone else who encounters the same issue? This is (another) example of netfilter/iptables giving an error message that's confusing, because it makes the person think "how is there no PREROUTING chain in table nat?". The problem is that there the target to jump to (-j argument) doesn't exist in netfilter/iptables. In other words: there is no REDIRECT target available. The kernel/netfilter needs to be built with REDIRECT support enabled for this to work. I believe this is controlled with CONFIG_IP_NF_TARGET_REDIRECT. Looking at the default options (this would be in release/src/linux/linux/config_base), it appears REDIRECT support is enabled as a module (CONFIG_IP_NF_TARGET_REDIRECT=m), which means it's dynamic. So: if you want this to work, just add modprobe ipt_REDIRECT to Scripts/Init and you should be fine going forward. (If ipt_redirect is already loaded, this command will essentially do nothing, so no harm). Pro-tip: Toastman MIPSR2 firmwares have REDIRECT enabled as a module, so this is not necessarily a "Shibby problem". If it's something specific to Shibby v135, then so be it, but I can't tell what's specific to v135 right now because there's no v135 tag, only some commits made to the repo 8 days ago. Upgrade 1.33 to 1.35 on Asus RT-N53. In WAN set static IP, and mask 255.255.252.0, but in Overview always 0.0.0.0. But internet is work. Hi ChefJoe, Wow! How did you do this? I'm trying to figure out the minimal release (v135) / version (K26RT-N) that includes "dnscrypt". I downloaded the v135 Mini version, but it doesn't appear to have dnscrypt. At least it's not showing on the Basic page. Since the release matrix hasn't been updated since v99, I'd like to find another way to find out what components exist in each release/version. You seem to have found a way to do it by comparing the makefile. I don't even know what that is or where to find it. I'm a newbie, semi techie, but if you can point me in the right direction to how to find and compare the makefiles by version, I can try to figure it out myself. I am curious if there is, or will be, a fix for the R6250 and its weak or dead 2.4GHz signal. I have 2 R6250 routers both were loaded with tomato-R6250-ARM--134-AIO-64K, one in front of the house and one in back. Netgear Genie is currently installed now. Reason being is with Tomato, the 2.4 signal completely died on the front router. It was as if it never existed. I could see with a wifi scan on my tablet that the back router was broadcasting its 2.4 signal. I did numerous resets and 2.4 would be up but by the time the router was reconfigured 2.4 was dead again. So I figured that 2.4 was dead in the water and prepared the front router by reinstalling Genie for an RMA since it was still under warranty. After getting Genie reinstalled my tablet signaled that there was an open network. I checked and it was the router I thought had the dead 2.4, which wasn't dead after all. Is there anything that can be done to fix this problem? I've seen posts from others with the same router with the same problem. Is anyone else having trouble with QoS since the Multiwan versions? My router seems to be classifying the connections, but not actually doing anything differently with them. Everything just seems to be sent out on the default priority. There were other classes of traffic moving on the line at the time the screenshot was taken. 50kb/s or so of what should be classed as "Games" upload traffic. Note that "Default" isn't actually the default on my setup. The P2P class is. When viewing the connection list, they are classed correctly. Edit: Just tested this by changing the "P2P" maximum upload to 20% of the previous limit. Running a speed test, the router is catching the speed test traffic it as "Browsing" (as it is set to do), but is treating the upload traffic from the speed test as "P2P" and making it fight with other actual P2P traffic. The "Browsing" traffic from the speed test running doesn't show up in the live graphs. Playing media over the LAN causes the router (a Netgear R7000) to reboot all of it's services. Actually any kind of load seems to cause the router to fall over. Is there any way to get more than 25MB/sec over 5GHz? It's a lot slower than AsusWRT and stock. I agree 135 is beta at best, more like alpha. I also had unexplainable issues for the short time I tried it out. Hopefully @shibby20 will work it out over the next few releases. Otherwise I may just maintain my own 132 based build. Is it possible to get and compile 132 source files with only some some fixes / changes from 133-135, like R7000 LED support from 133? I don't understand why not all supported routers by Tomato by Shibby, have LEDs working at 100 percent!! Why this is not fixed for all supported routers? It's not fixed for all supported routers because Tomato Firmware is an open-source firmware, not a commercial product. Open-source means that we need your help to get RT-AC56U LED's working. R7000 LED's are working because I found by myself how to fix them and shared the solution here. If you can spend some time figuring out gpio addresses, craft and test something similar to what I shared, and share your solution, I am sure your unit LED's can be supported with the next release. Because Devs develop what they want to, and Shibby20 wants this (because he is a part of that 1%). I do agree that a safer approach would have been to keep two branches for a while longer so that not everyone gets impacted by all the things that break with such a big change. For whatever reason a $RECYCLE.BIN directory is created on my Samba share. Is there any way I can stop it from being created or hide the folder from being shown on the media server folder list? The external drive is NTFS if that makes any difference. ^check for viruses or malware on that computer, normally windows will not create any kind of that in network share. Samba does have a feature to enable exactly what's described. The question is whether or not the version of firmware you're running (you didn't disclose this -- we need preferably the filename of the firmware you're running) has configured Samba to use vfs_recycle or not. In general though, no, this is not something you usually see. When deleting a file on a CIFS/SMB share, most environments delete the file (and it's gone forever). My gut feeling is that because you're using an external USB drive that's pre-formatted on a PC and there was probably something deleted on the drive (while in/connected to Windows directly) before it was made the drive for the CIFS/SMB share. But this is hearsay because I have no way of confirming/denying it. You'll need to do the sleuthing work yourself. I can't remember where the Samba configuration file is on Tomato. Possibly it's /etc/smb.conf but there are several places where it could be. Edit: smbd -b doesn't work on Tomato because it's too old. strings also turns up nothing. Might just have to find / -name "smb.conf" -ls and hope for the best. That find command didn't work for whatever reason, but I looked at the smb.conf and found no vfs_recycle entry, so I'm moving everything off the drive and formatting it while connected to the router and moving everything back over. Update: So far, so good. Fingers crossed. In which Versions of the shippy firmare/relases jffs can be used? I use a WRT54GL (this router is used by my mother) with the version 1.28.0000 MIPSR1-135 K26 MiniIPv6 but jffs is not included (anymore)? I need jffs for the usage of the ad-blocker. The find command didn't work because Busybox's find doesn't support the -ls argument (BSD and GNU find do). Sorry, I should have just left that off. find / -name "smb.conf" would have sufficed. My apologies. Yes, the E3200 firmware is missing for some reason, I'm also waiting for it. No V6 router advertisements are being made to the lan, and thus I have no V6 connectivity to the internet for dynamic clients. Even in the case of a static V6 assignment like my server, I still have no V6 connectivity. The GUI will not allow me to select channels 1-4 for wifi, and only displays "auto" and channels 5-11. My SNMP monitoring script is not working correctly. Before MIB5 was the place where I monitored the Wan link, and it seems to have moved to MIB7. I am using a WISP that gives me a static V6 assignment for my use, and I have the point-to-point link routing in my wan-up script. Something has broken the V6 parts of the build between 130 and 135, at least for those of us who have a native connection to V6. it seems that with the new introduction of multiwan, it introduced a new problem too, the WAN will never reconnect correctly if for some reason it is failed. the only solution is to reboot the router, restarting wan service will not work, nor manually click on the connect button. Can someone point me to a file (source, driver, etc) that might contain the code responsible for selecting country in Advanced > Wireless > Country/Region? I want to extract the true information by reverse engineering the file responsible for it and make a table for every FW version/brand. Example: Selecting Tunisia will disable "X" and "Y" feature and limit the max mW at 80 internally and disables "X" channel, etc etc. I'm curious as well where all these countries come from, but I suspect the list comes straight from the driver (wl_apsta.o). Maybe @RMerlin can chime in something. This is all done by the closed source wireless driver. AndreDVJ and koitsu like this. Just installed Shibby 135 on an Asus N10P. Blew away nvram on install. Configured for Wireless Ethernet Bridge, set routing mode to router. DNS doesn't resolve anything. Can't ping outside the local network, while other devices on the same network can ("network is unreachable"). Edit: Default gateway isn't being added to the routing table. Bit of an oversight, no? Edit 2: Worked around default gateway by adding the route using the Firewall Up script, but then had to turn on Internal DNS to get DNS to work (/etc/resolv.conf wasn't being generated otherwise), and now I'm finding that HTTPS for admin access isn't working. Tell about it SHIBBY to fix this bug . Shibby: Let me first say thank you once more for your relentless and successfull effort to produce an excellent piece of software! I upgraded yesterday from 133 to 135 (tomato-RT-AC66U_RT-AC6x--135-AIO-64K) on my RT-AC66U. I noted a little bug: When I entered into dnsmasq configuration (via GUI) the line "cache-size=4096" Internet Connection would not work anymore. When I checked via command the actual dnsmasq configuration after removing the line again (and having a working Internet Connection once more), I noticed that this cache-size is in there by default. So, no need to add it, I was just surprised that it had a side-effect. Is what's gonna be enforced. That won't do any good. dnsmasq.conf is rewritten with every service restart. Remove your cache-size option. Dnsmasq will not start if two cache-size options are given, even if they are the same, and @shibby20 is now writing his own into the config. I think this is a regression from a change proposed earlier that was temporarily in the tree. Hopefully it will be fixed. I have the exact same issue. It also seems like random things are getting reset. I know I had set wifi security to WPA2 Personal, but after I rebooted it was open and had to turn it back on. 1. Connected via PPPoE. Status stuck at: Renewing. Internet is working though. 2. Unchecking "Core USB Support" results in disappearance of 5 GHz wireless/menu. I just noticed that I'm having the same issue and I've tried resetting the data with no change. R7000 as well. Edit: IP traffic works fine. I own a Xiaomi R1D, but in the Overview Status page, i cannot see any Ethernet Port State. Point 2: on that router, the 5ghz is connected over a usb channel to the main SOC, that is why this happens. NeverMore and koitsu like this. Anyone successfully connected to WiFi by using Wireless Client Mode on RT-N53? I've tried following this tutorial and failed always. I have a problem when using the Default Class feature in Bandwidth Limiter. The description says that non-included MAC will take the Default Rate. So I added my PC MAC address and give it higher DLCeil, and then enable the Default Class and set it to lower DLCeil. The problem is my PC is treated as Default Class, even though I've already added its MAC address. It is connected via wireless. My router is old WRT54GL, running tomato-ND-1.28.5x-124-VPN. Is this a bug? Can anyone help me to troubleshoot? I manage to make it work. The rule applied correctly only if I set my PC priority to 'Normal'. Previously I set it to 'Highest'. It seems there's a bug when the clients are set to priority other than 'Normal', it would be treated as Default Class. In the same room as the router i get about 45 MB/s. NB wifi is intel 7260. My old router only has 4MB flash, so I can't use new version without losing VPN feature. I guess I have to settle with this old firmware. I can actually add the clients manually one by one without the Default Class, it's just a minor hassle. I have a tm so i thought the gl also had 8mb, my bad. P.S. : on the second thought - driver used for ac56u should work on EA6500v2/EA6700, I think. What version of the firmware are you using? Paragon and/or Tuxera drivers can't be distributed for all devices. It's a licensing issue, we cannot offend licensing terms and distribute binaries for unlicensed devices. – GUI: Allow users to decide which NTFS driver they want to use: Tuxera (AC56, AC68) or Paragon (N18, Netgears) or NTFS-3G (all routers). Chiming in to say I just updated 132 -> 135 and cleared NVRAM (I don't usually). My final step is to cleanup & enable QoS. Everything worked perfect until that last step. I'll have to deal with No QoS until we get the fix. btw, how come that drivers for AC56u and AC68u is distributed with tomato? Is it because binaries used in tomato is directly ported from official firmware e.g. not rebuilt from source? I'm asking because EA6500/EA6700 official firmware is also bundled with a Paragon NTFS binary so maybe it could be ported too. They are binary blobs so not really a port. Tomato-ARM uses either Tuxera or Paragon binaries 'as is' from Asus, no matter if you build the firmware for Asus, Netgear, Linksys, Tenda, etc. i would to ask, is there any chance we might see the shubby 1.30 builds (kernel with fq_codel) for routers like the E4200? Any chance of getting MTU on WAN to allow Jumbo Frames (i.e. > 1500 MTU)? I've got a cable modem with gigabit connected to my N66U, and gigabit devices on Ethernet, so I'd think that pushing the packet fragmentation upstream might take some load off of the N66U's switch. Thanks! Are you certain your cable modem works with jumbo frames? Most cable modems I've used (including expensive present-day stuff like the SB6190) tend to only work with 1500 MTU. I would be very wary of using this feature, given the fact that the actual switch in most Tomato routers is 5-port -- the WAN connection is one of those ports, and the segregation is accomplished via a kind of vlanning (sort of), and as you know mixed-frame environments (ex. one device using a frame size of 9000, another using 1500) generally do not work. Toastman and AndreDVJ like this. Thank you, koitsu! I will check all that out. FWIW, I do not have anything but 1GigE on the router's switch. I have a smart gigabit switch downstream that also only has 1 GigE devices connected (and Jumbo Frames). But I am also curious about if the cable modem I have can handle a larger MTU - I'll investigate further, perhaps do some experiments with just a laptop directly connected. Would it be possible to add a minimum rssi setting that kicks all wireless clients below this threshold? Or is this possible using scripts? Apologies, but what's the use for this? Not always, sometimes that doesn't happen, depending on the client That's what "roaming assistant" does, kicks clients below a certain level off the weaker AP. Also speeds up the process. Oh, I'm sorry for not mentioning. R7000, ARM. shibby20 and ChefJoe like this. @tvlz - indeed, i found this bug 2 days ago. Thanks. Roaming, every "good" Accesspoint has this feature, as nearly all wireless clients don't roam on their own and always stick to the same accesspoint until the connection is lost at all. Installed v135 Mini on Asus RT-N10P. Noticed a couple of issues similar to what is being reported here. 1) In regular Access Point mode, ISP DNS server being appended even though I am using DDNS with OpenDNS and "Use received DNS with user-entered DNS" disabled. 1.5) Also, no option to configure dnscrypt. Not sure if this is available in the Mini build or not. 2) In Wireless Ethernet Bridge mode, router time not being set, shows no time available and logs show Jan 1 date. 2.5) Also, Overview does not show WAN IP or DNS. In this mode I set the IP manually outside of the primary router DHCP pool, and set DNS to the primary router IP. These are note reflected on the Overview page. Thank you for all your hard work shibby! I have an e3000 router and I would like to install tomato to use openvpn, after reading through this forum I am having a hard time determining which firmware version would be best. looking for a stable version that has openvpn capabilities. Any help or direction would be very appreciated. 132 should be entirely stable. 133+ introduced MultiWAN features which seems to have created some issues for users (including myself - I cannot enable QoS with anything above 132), so unless you need to have MultiWAN I'd recommend staying with 132 until the dust settles.